The latest healthy living ritual doing the rounds in wellness circles around the globe basically involves a fruit and vegetable juice based diet over a day or more. And if its cold-pressed , as opposed to having been through a blender, all the more better because blending causes the heat to oxidise and destroy some of the nutrition. Yes, eating a fruit whole has the ‘Fibre-for-free’ advantage , but then I don’t quite fancy munching on Kale/ Spinach leaves or having to eat three apples at a go! Also, since juices are digested much faster, the blood stream gets an instant boost of nutrients, vitamins and enzymes. Does it detox? I would be more inclined to the ‘reset’ theory- that a liquid diet of superfood extracts can give the digestive system a break from ‘solid’ work and gently reset it. Great as a weekly ritual. 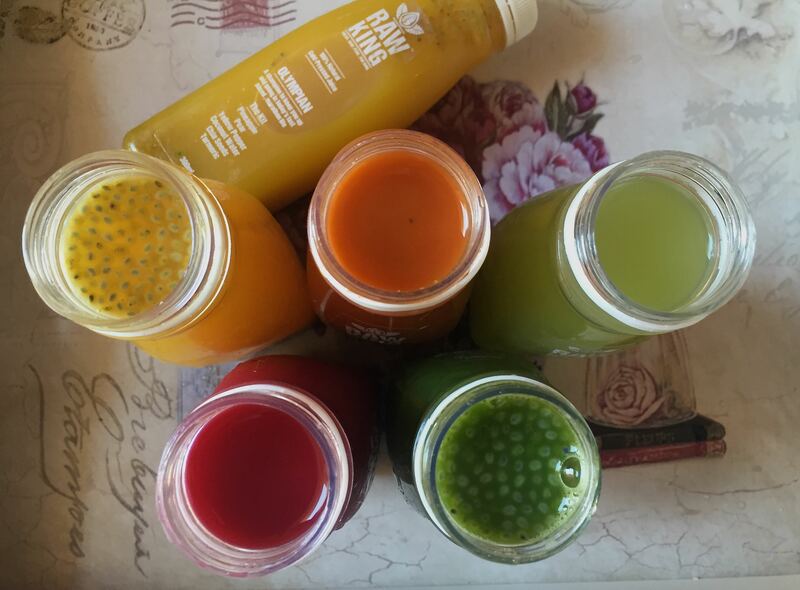 Rawking, a 100% Raw-Undiluted-Cold pressed Juice manufacturing and delivery service in Gurgaon offers a host of Juice Delivery packages that can be availed as Daily, Weekly or Monthly deliveries. Apart from Detox and Cleanse Plans, they have custom packages for that pre special event glow (Charm Up), Weight Loss (Chisel Down) and more. Also, on offer are healthy Salads! And the ingredients in their juices? We are talking super-foods like Kale, Spinach, Green Apple, Celery, Cucumber. Turmeric, Red Bell Pepper,Coconut Water, Casaba, Chia Seeds and more! So when Navneet of Rawking approached Naturally Lush for a review of their service, I was quite happy to have a go at it. He explained how product freshness is ensured by juicing a few hours overnight before it is delivered chilled early morning. Raw, Pure, Undiluted glugs of goodness! No preservatives, No added sugar, No added colors or flavours. Also, 100% Vegan.! For review purpose, I chose their ‘Standard Cleanse Plan’- a day-long plan where one gets 9 Juice Blends in 300ml bottles – each with a time label that lets you know the time it needs to be consumed at. These juices are also available as stand-alone purchases just in case you do not want a Cleanse package. 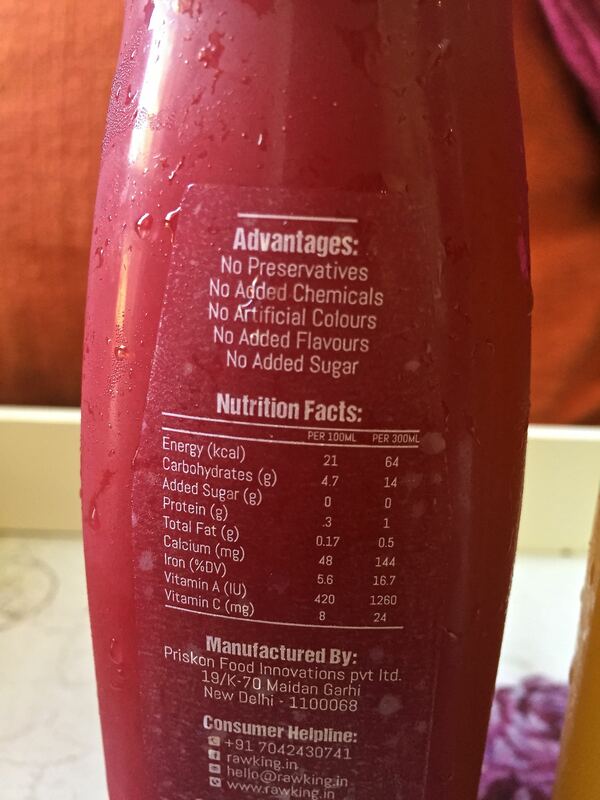 Ok. Don’t expect the over-sweet , processed taste of the commercial juice-from-a-carton. Also, these juices are a mix of extracts of multiple fruits/veggies. The taste is fresh & natural and reactions can range from “Wow! Tastes like heaven!” to “Ok, will have it for its benefits” 🙂 Some blends will be an acquired taste. The order process was simple. 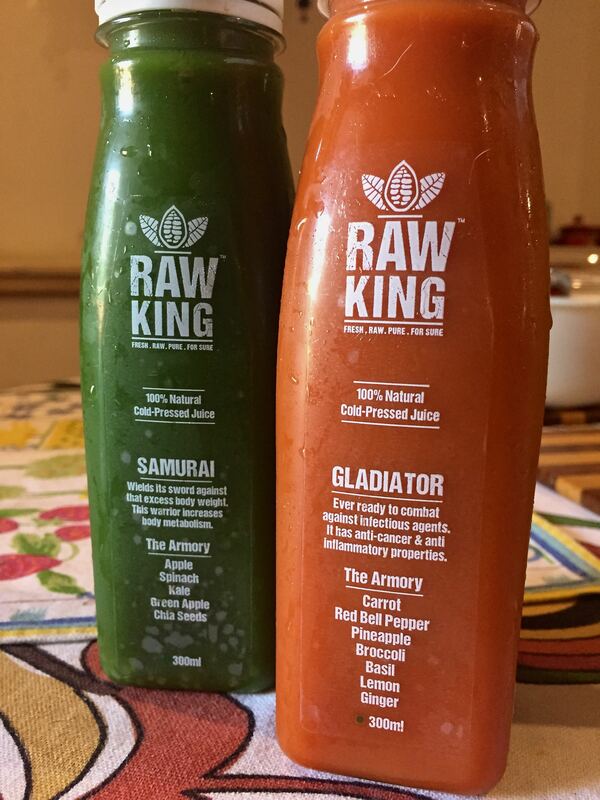 Rawking has a well laid out website where you can browse for juice and package options. Once I selected the Standard Cleanse Plan, I received an acknowledgement and a mail a couple of days prior to the plan delivery date,with guidance and easy instructions on easing the system into the cleanse plan – instructions on eating light, whole foods, staying vegan etc. The bottles were delivered chilled by a pleasant, knowledgable delivery man. Each bottle shows a clear list of ingredients and the time at which the contents are to be consumed. The feel-good factor is unbeatable & one does feel light and energised. However, personally the 9 bottles were a tad too many ( might be suitable for larger capacities or men) and I was missing a salty break. To neutralise the lingering natural sweet/ sour taste, I popped in a few almonds/cashes/walnuts a couple of times. Great service with fabulously healthy offerings. However, if you are planning a Juice Cleanse for the first time, start with the Semi-Cleanse package (fewer juice bottles + 2 Salads), and later graduate to other full day cleansing packages. 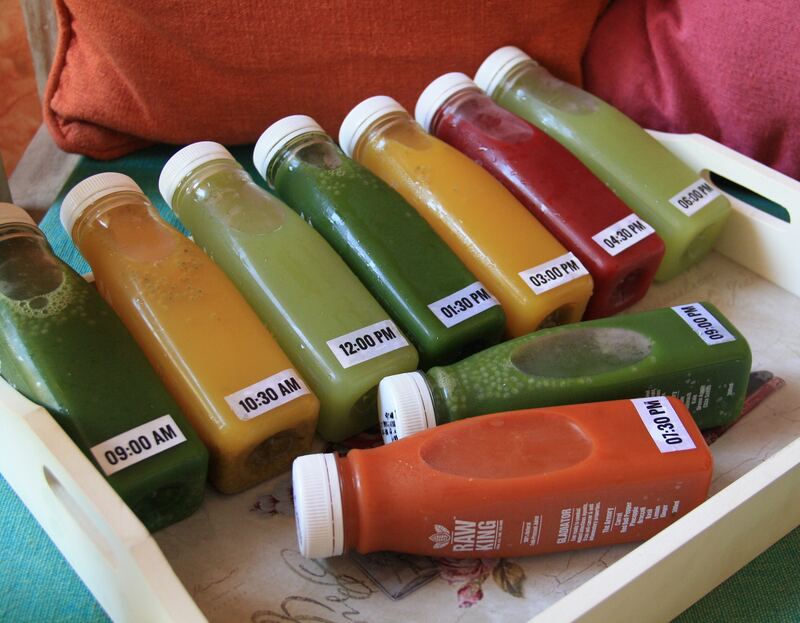 If you are not keen on cleanse routines, give a go at their regular juice and salad deliveries.